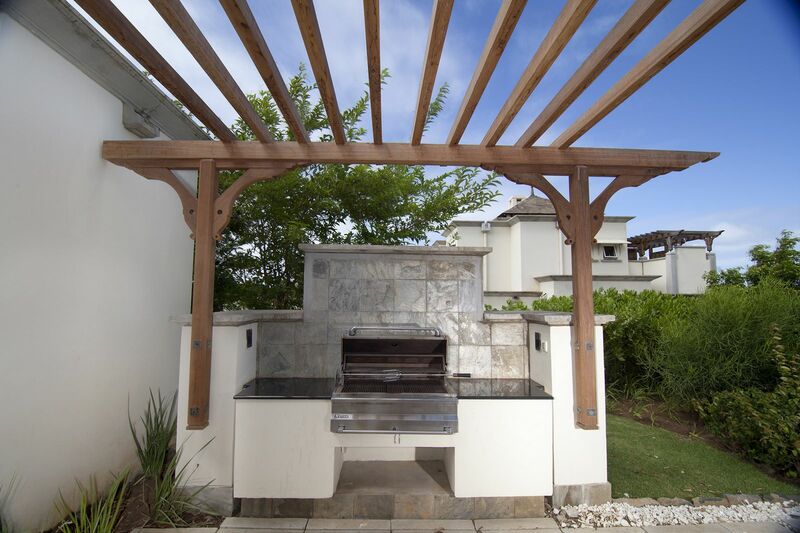 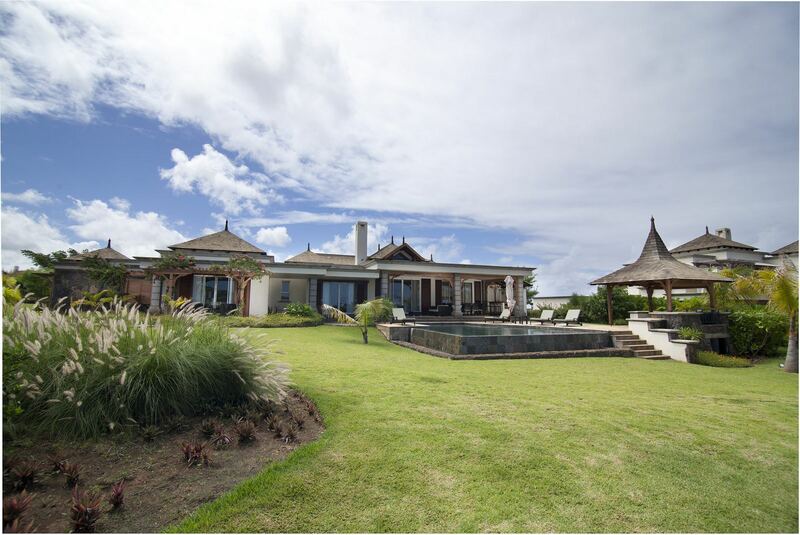 Villas Valriche is a gated luxury villa development offering a world of space, peace and privacy. 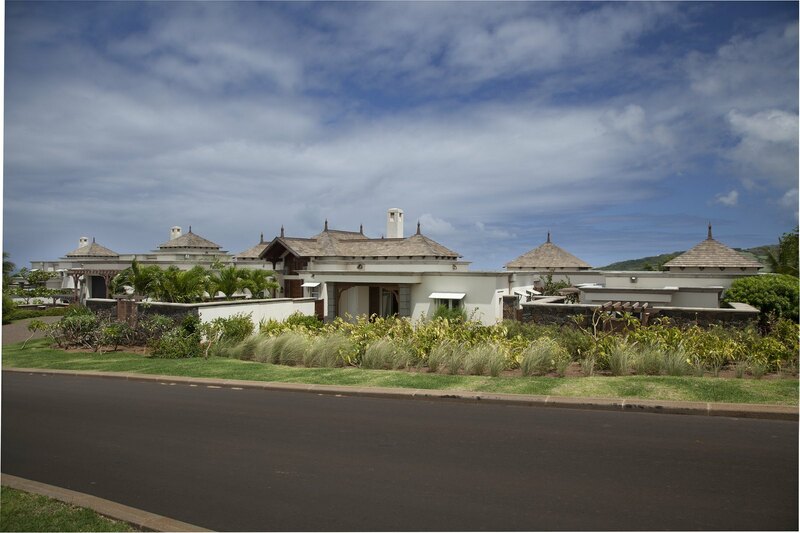 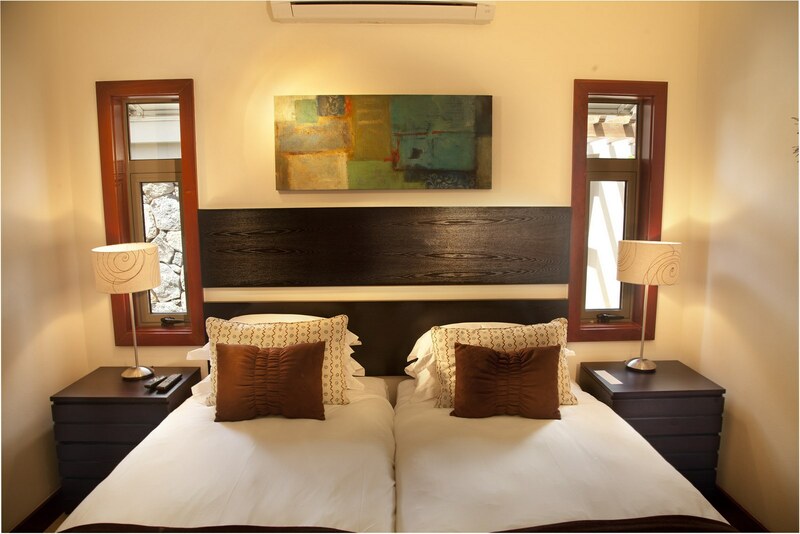 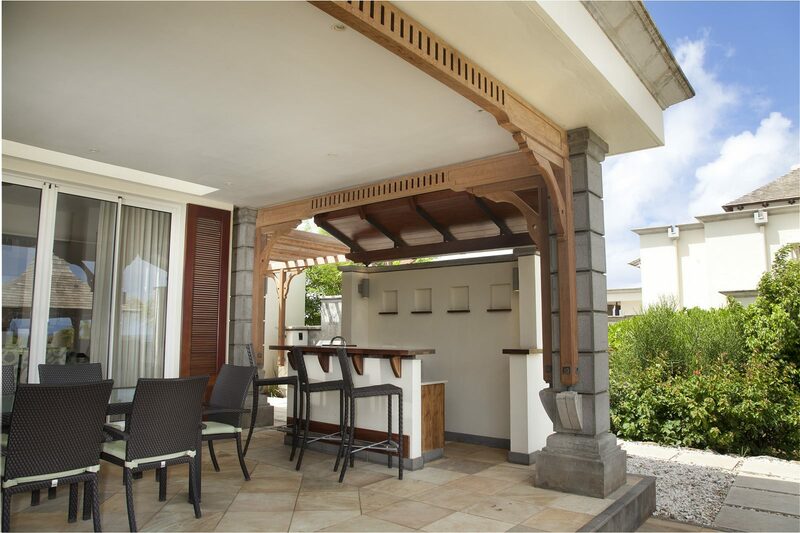 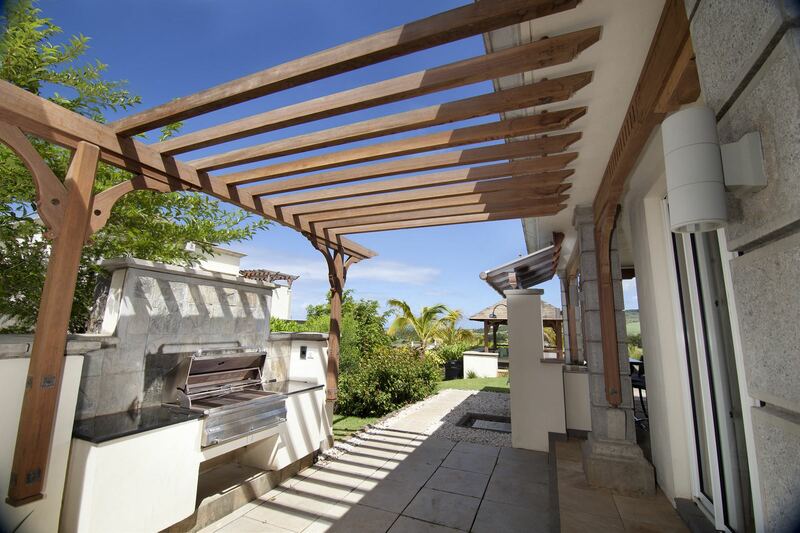 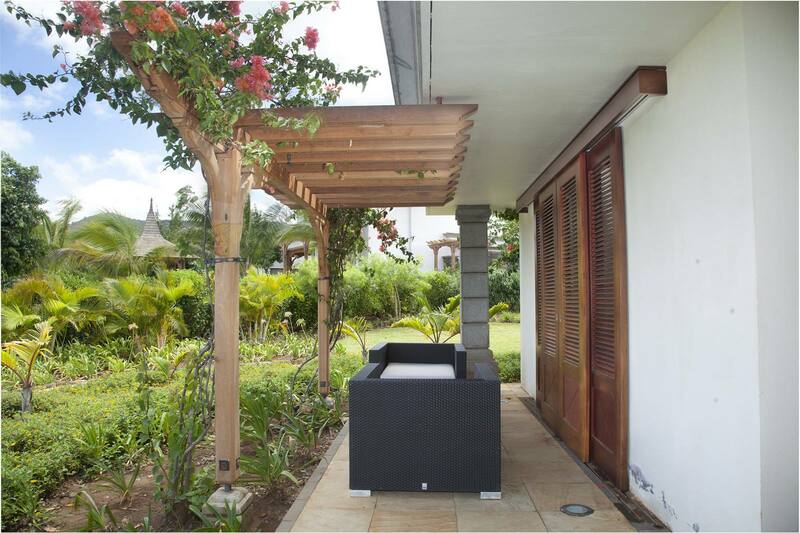 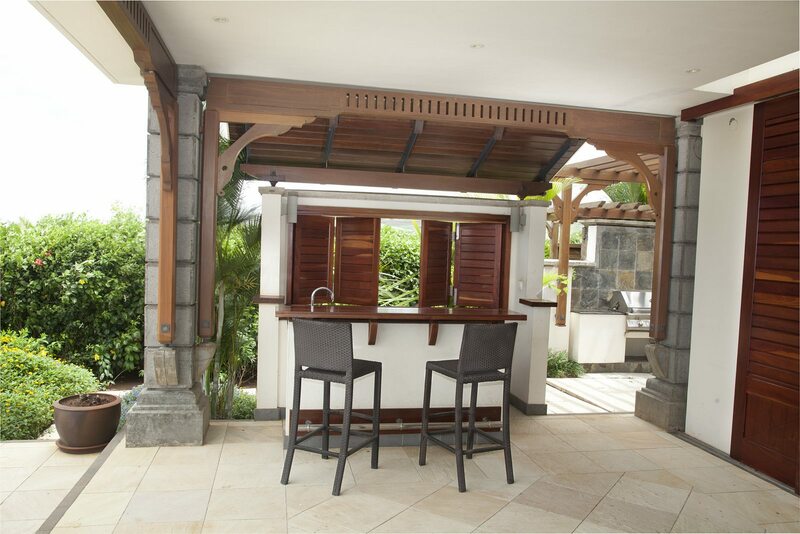 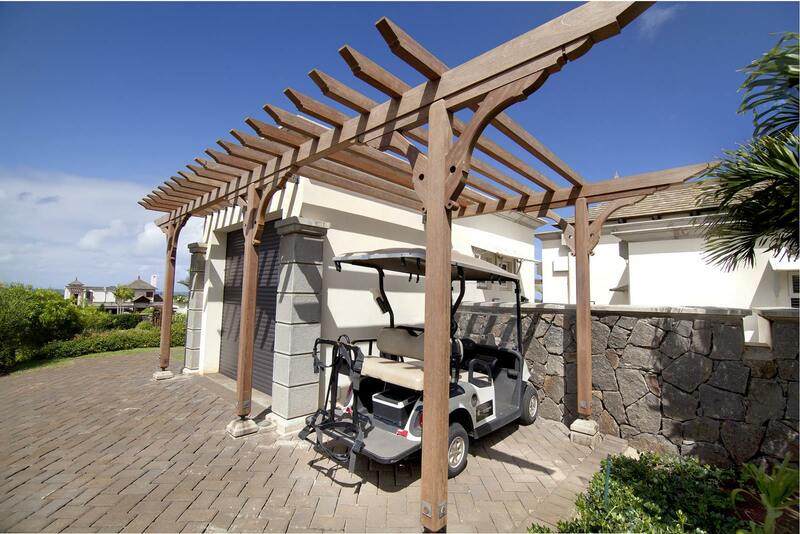 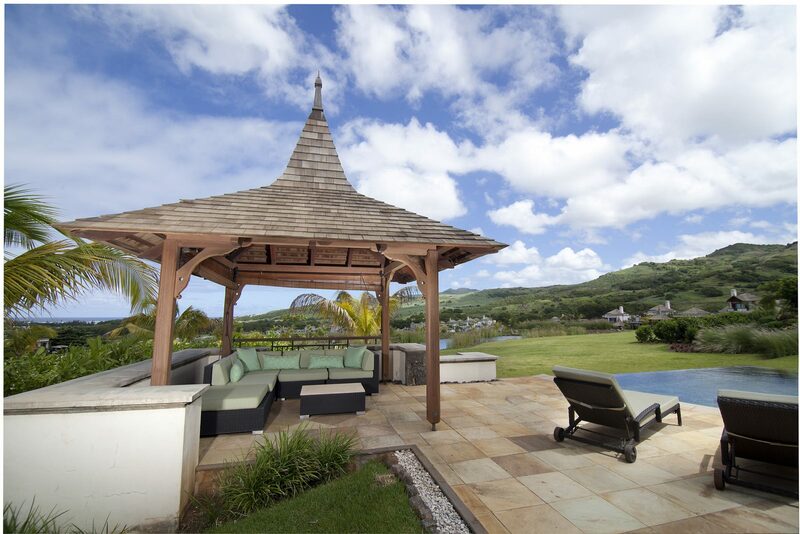 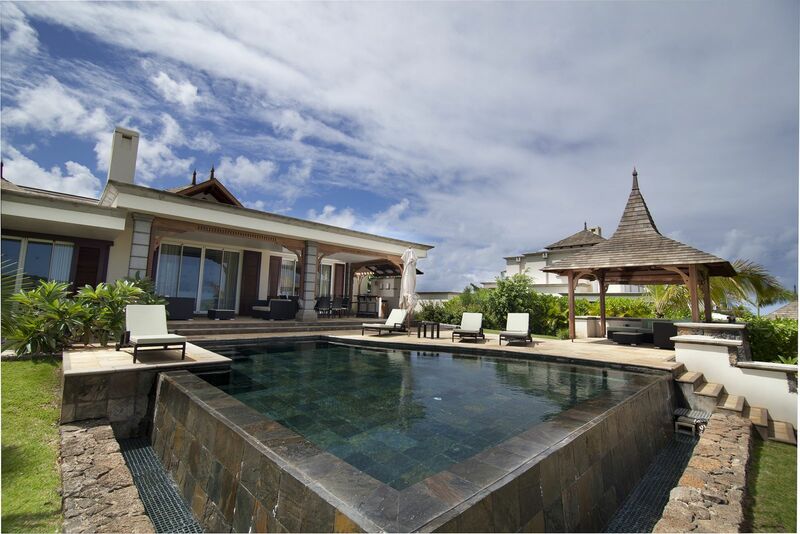 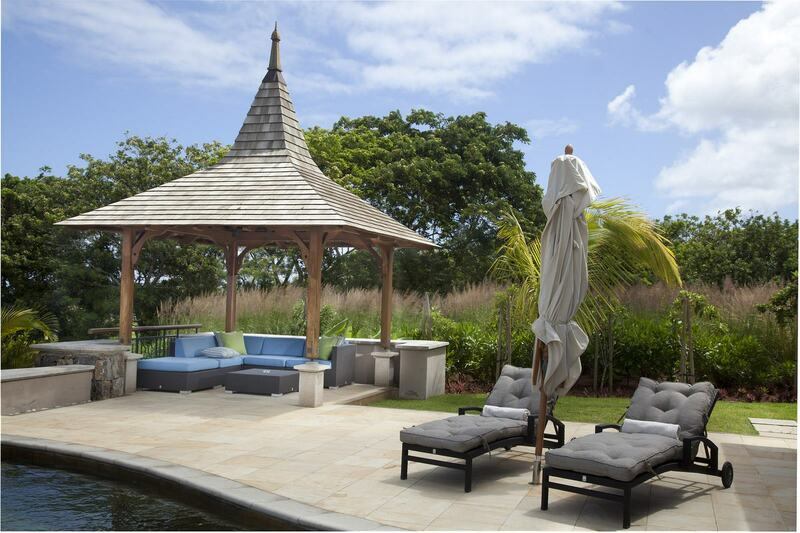 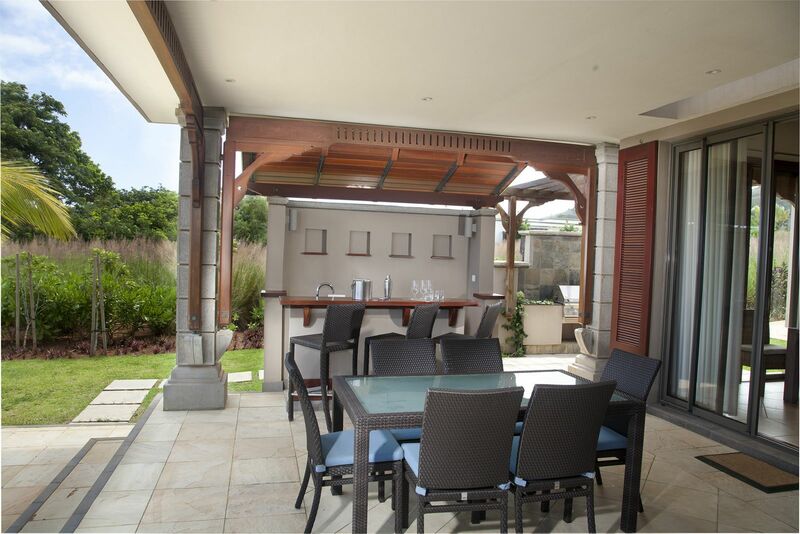 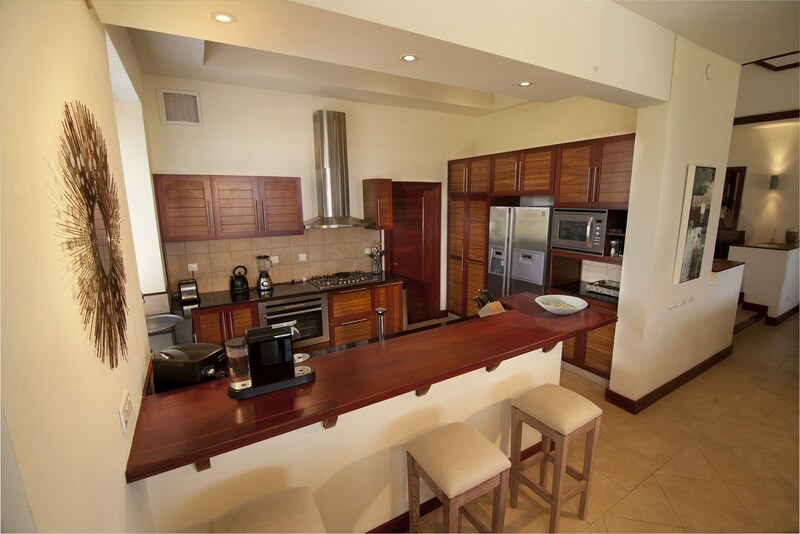 Located in the magnificent Domaine de Bel Ombre, in Southwest Mauritius, it is a combination of a gated housing estate, a country club with a golf course and a hotel. 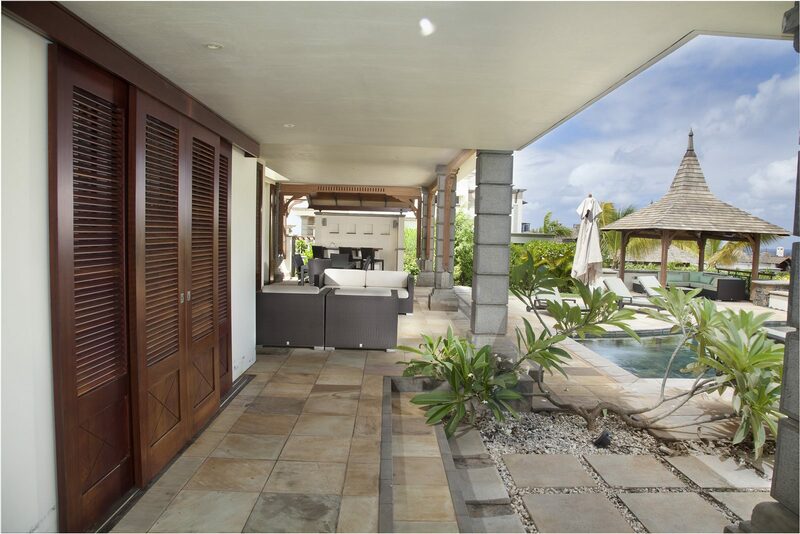 The villas, designed in a mix of plantation style and Balinese architecture, are sensitively set on the undulating terrain, and spaced well apart to afford spectacular, uninterrupted panoramic views of its golf course, a lake and the gorgeous sea. 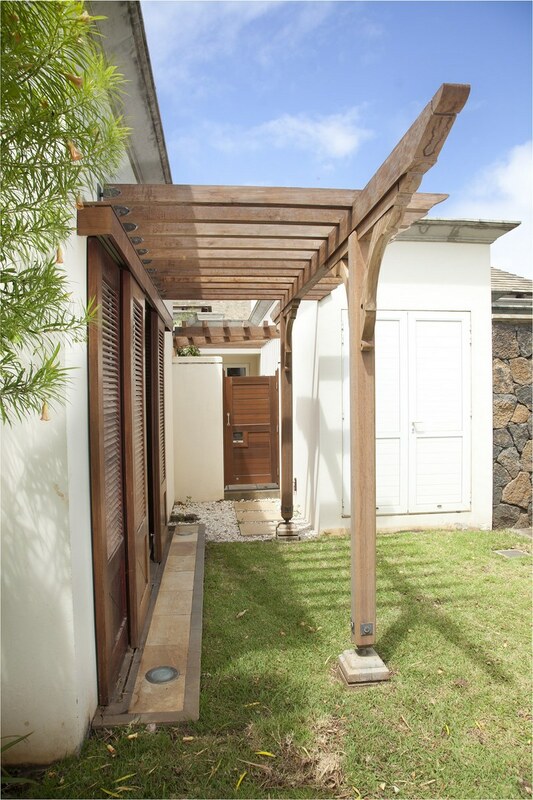 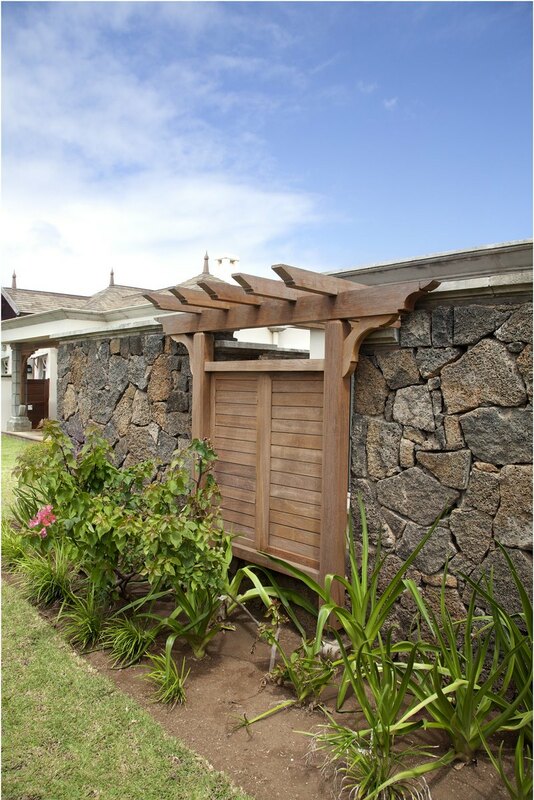 Balinese architectural features could be seen in the double pitched Kempas shingled roofs with steeples. 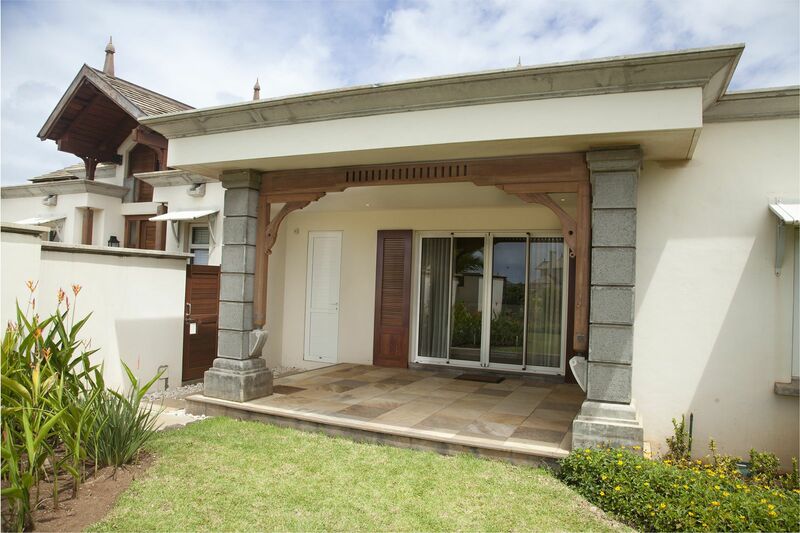 Shown on this page is the entrance to one of the villas. 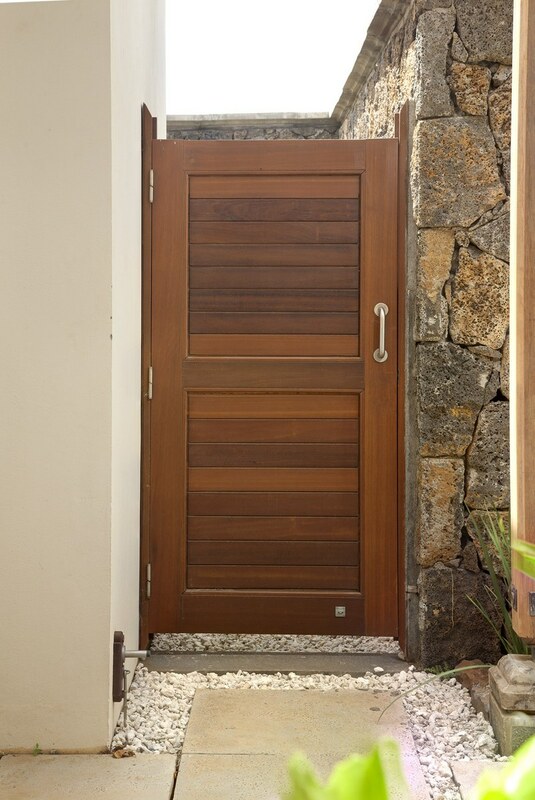 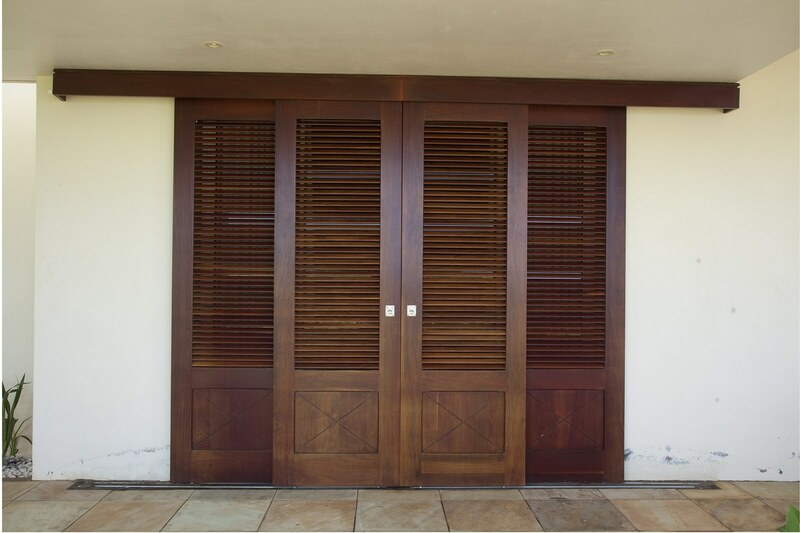 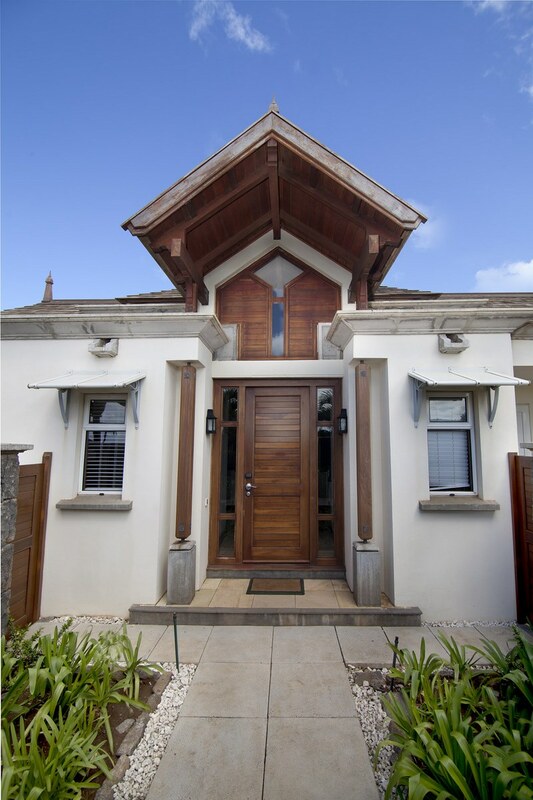 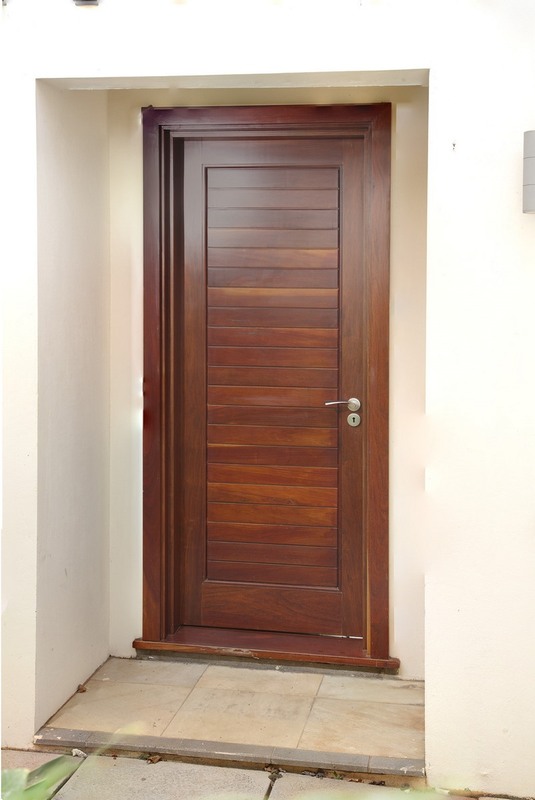 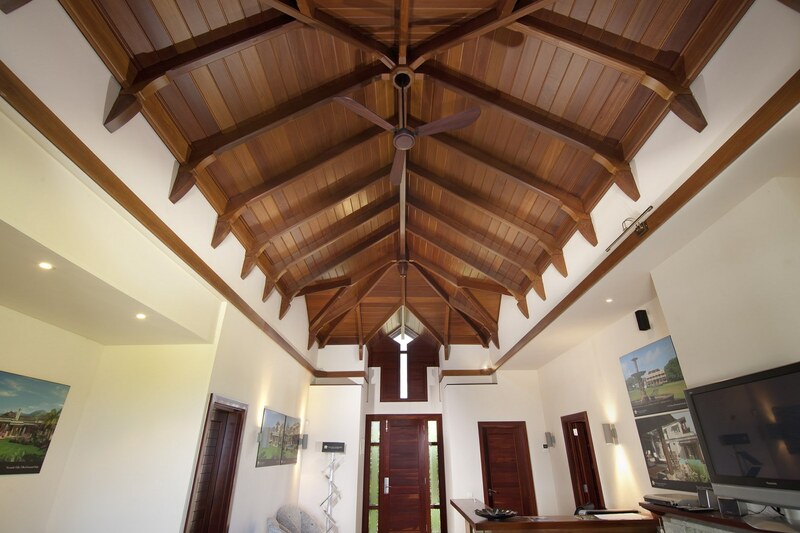 A cantilevered timber roof, supported by Balau trusses, together with the solid timber door and wall paneling create a warm and welcoming double-volume entrance foyer to the villa. 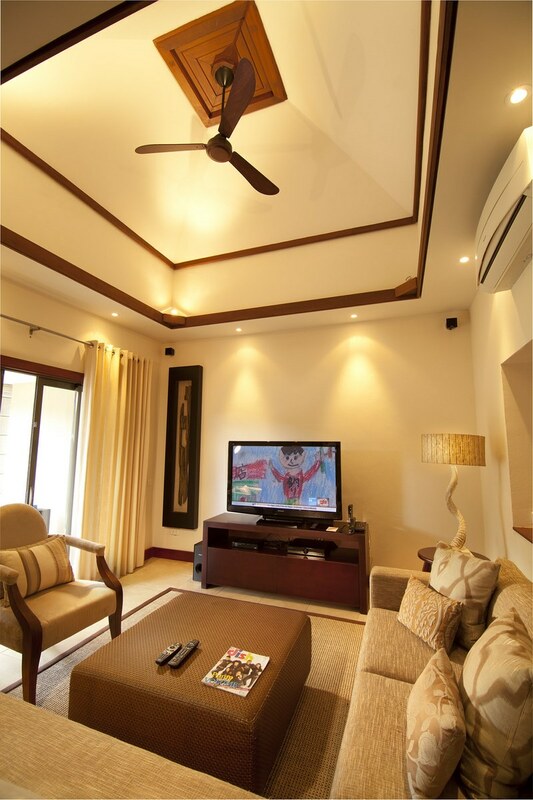 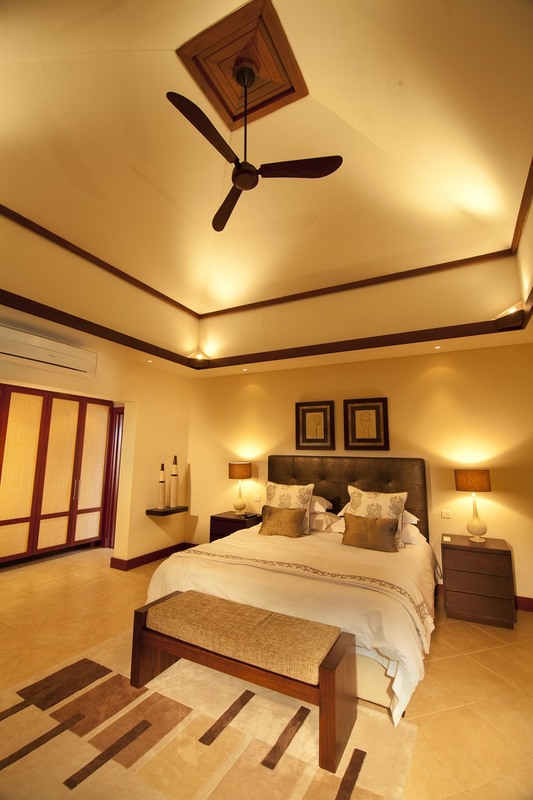 Many of the villas come with a timber ceiling in the main living area while others are adorned with balau cornices skirting the ceiling lines.